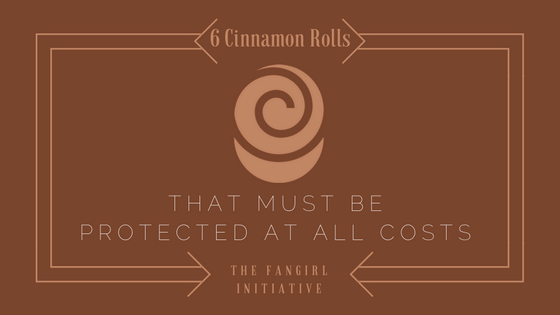 As fangirls, we all know of those characters that are so precious that we want to grab them, stuff them in a bag or van, and make sure they are protected at all costs. In most fangirl circles, characters like that are affectionately dubbed as precious "cinnamon rolls" who are most likely "too good for the world." I've collected many such characters, picking them up and tucking them under my arms and crying like a baby when they get hurt--whether physically, mentally, or emotionally. The first moment I saw Lee Pace as Ned the Piemaker, I knew he was an adorable cinnamon roll that needed to be protected from the world. Since he has the power to bring people back from the dead (and also send someone else to their death after one minute), he's very careful with his actions and how he holds himself. He's quite the perfect pie. Despite being extremely tall (6'5", to be exact), his mannerisms make him look like a giant, wounded puppy. It pains my fangirl heart to watch him struggle to hold himself together. He can't pet his dog; he can't give Chuck a kiss. He blames himself for several people's untimely deaths. Although I've only seen season one of Pushing Daisies, I just want to give him a big hug and tell him everything is going to be okay. My absolute favorite character from The Goonies is Data. He's small and adorable, especially with that giant trench coat trailing behind him.He invents a lot of interesting (sometimes useless) gadgets. He even talks about himself in third person. He's a darling donut. On more than one occasion, Data happens to get himself into a few treacherous situations, but his gadgets always lend a hand in saving the day, whether it's his pinchers of peril or slick shoes. He's smart and dramatic and definitely hilarious. Although at times he can probably take care of himself, I still want to wrap him in a blanket and make sure he's always smiling. 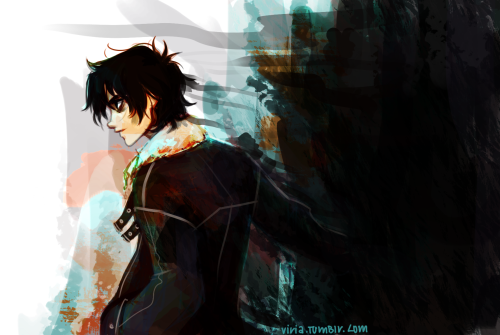 Nico di Angelo is the epitome of "poor sad emo baby." His life hasn't been that great. His mother died when he was still pretty young, and he ends up losing many other people he cares for. In addition, he learns his father is Hades, who isn't the most likable god or father in Greek mythology. Thus, most people give Nico a wide berth and expect him to cause trouble or do something "evil." (Poor pudding.) But Nico is just a kid that wants to be a hero. He likes to play Mythomagic (a card game based on Greek mythology) and summon the dead with McDonald's and Coke. In addition, he's the first demigod in years to talk to Hestia. Deep down, Nico isn't only the angry, little boy that's lived a sad life; he has a heart. And that heart--as buried as it may be--should be protected. I want to give him a big hug and wrap him up in a blanket burrito. Chekov is not only a precious cinnamon roll, but he is an adorable cupcake as well. At seventeen (or twenty-two), he's already joined the ranks of Starfleet as an important officer on The Enterprise. He's young, but he's a genius. He usually has a smile on his face or an optimistic outlook. His bromance with Sulu is just darling. As a baby Starfleet officer with a bright personality, someone needs to keep an eye or two on Chekov to make sure nothing they encounter on the "strange new worlds" hurts him. Every time I read another volume of Attack on Titan or watch an episode, I silently whisper for Armin Arlert's safety in the midst of a dangerous battle. Armin is too precious for the tragic world he's been born into. Despite the horrors of towns being overrun by titans or countless friends, family, and fellow soldiers being consumed by the monsters, Armin holds on to hope that they will win and they will have a chance to explore the world outside the walls. You see, Armin has a dream to see places he's only ever read about, so he and Eren do whatever they can to make that dream happen. Their friendship and hopes and dreams make me want to lie on the floor and sob. In addition, Armin is super intelligent and is often times the one that comes up with good plans and strategies to engage the titans. Armin is a precious pancake too good for the world. Here's the thing about Chuck Bartowski: he's just a regular guy who happens to download the entire CIA database into his brain. Thus he receives not one, but two handlers to protect him. Yet he always manages to get himself into trouble. Chuck happens to also get himself out of trouble as well, but that doesn't mean he doesn't have struggles that overwhelm him. He's a sensitive guy that has a big heart; he has a lot of decisions and feelings to untangle while trying to save the world. It's a big responsibility for one person to handle, which is why I want to sit him down and maybe play some video games or eat pizza with the big nerd and let him relax and have a fun night away from the stress of spy life. Chuck is a charming cookie that should not be crumbled or crushed. What characters do you want to protect at all costs?